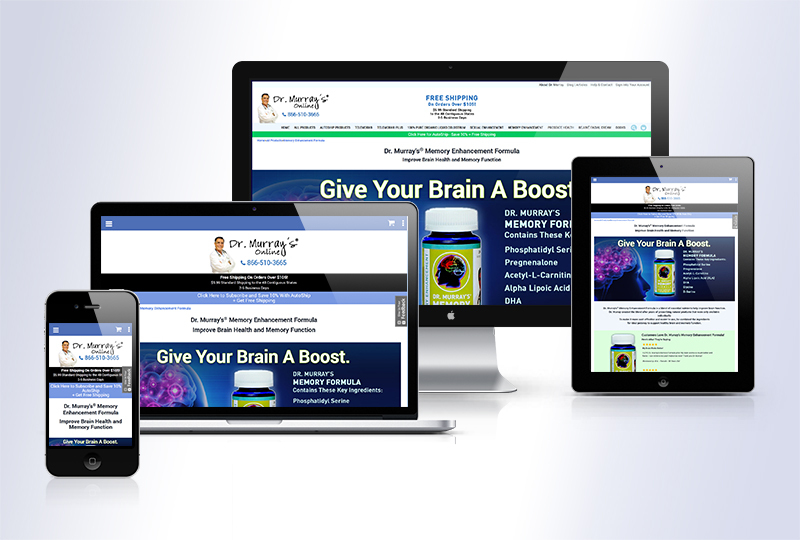 The e-commerce website Dr. Murray’s Online had an outdated HTML 4.0 3dCart store theme that was causing Google to penalize it for not being mobile-friendly. 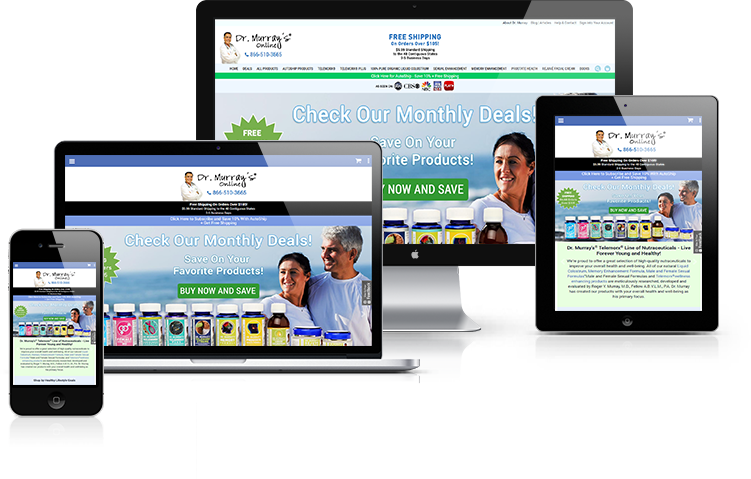 With the old design and infrequent site or product updates, the e-commerce store had been steadily losing sales and mobile visitors and had almost no traffic. It was also difficult for visitors to navigate and the light gray type was hard for mature customers to read at a glance. It was past time for an update! 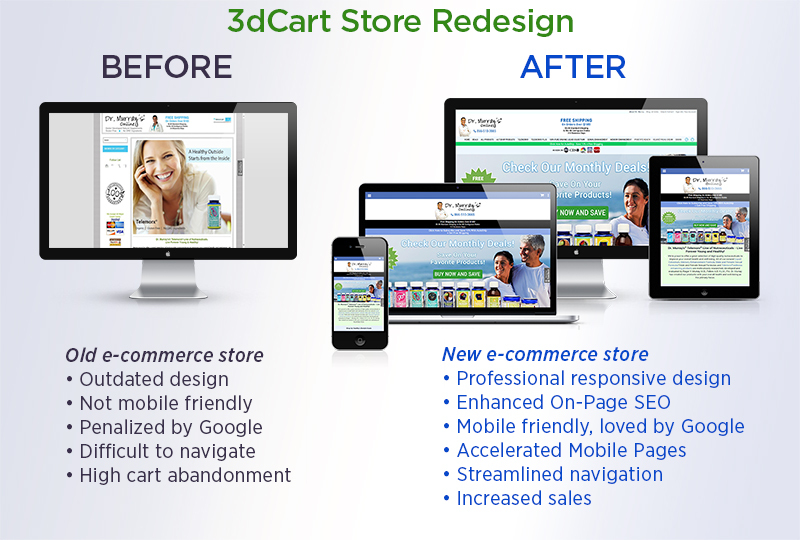 The new 3dCart store design is Google Mobile-Friendly, HTML 5 responsive with updated visual branding and vivid images that are easy to read at a glance from desktop computers, tablets and mobile phones. In addition to the eycatching new design, Chromacor updates the store’s Google Product Feed and we’re refining on-page SEO and Accelerated Mobile Pages to boost search rankings for commonly searched terms. We have also set up recurring orders so that customers can subscribe to their favorite products and streamlined navigation flow to checkout, which has increased sales. We have also increased repeat orders by setting up 3dCart’s autoresponders to send automatic emails with promotions to customers for their favorite products.